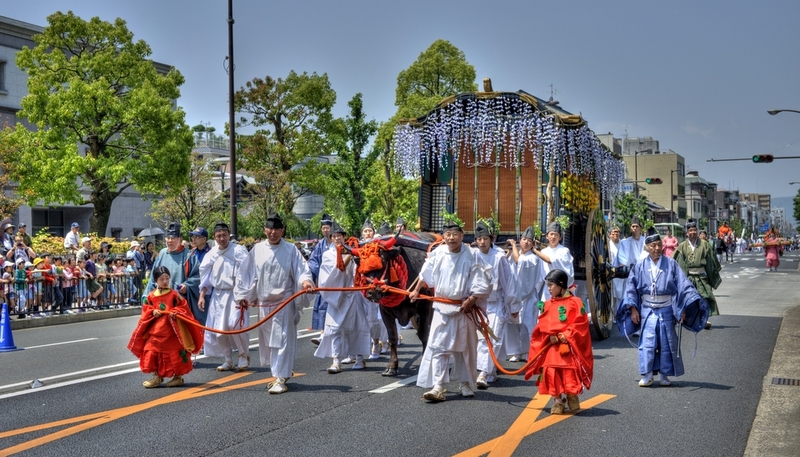 The Aoi Matsuri is one of the three main festivals held in Kyoto each year in addition to the Festival of the Ages (Jidai Matsuri) and Gion Festival. The festival has its origins from the time of Emperor Kinmei back in the 500’s, and was started to ward off floods and severe winds which had ruined crops and epidemics which had spread throughout the country. I should have put these photos up early and am still sorting through them. I will try and get the rest of the photos up during the week. This one in particular I liked as it gave a feel of the whole procession winding through the streets. I like how the 2 girls are looking at each other solemnly and the rest of the crowd seem to be enjoying the day. Which month this festival start?